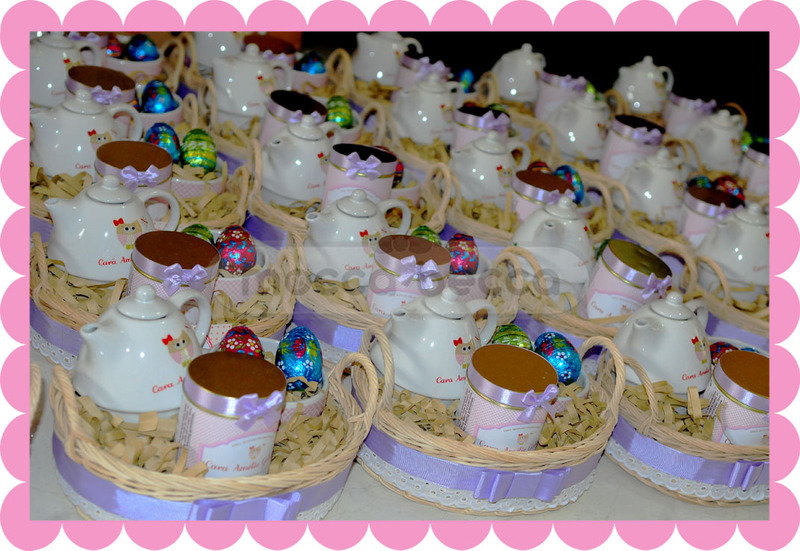 Ordered by Mrs. Karina, 80 pax with request in baby owl theme. 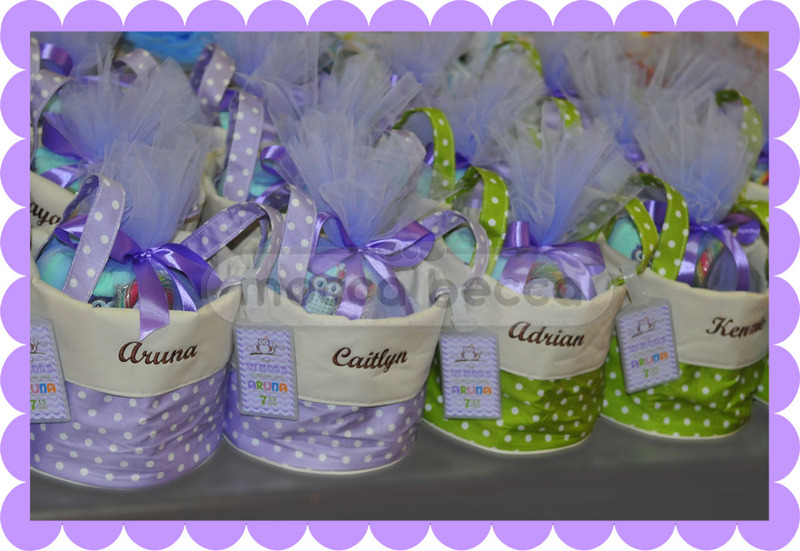 1 glass jar choco chip cookies + 1 set alphabet cookies. 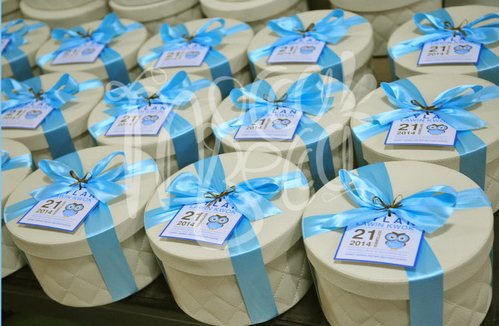 Ordered by mommy Erni (150 pax) with request in Owl theme. 1 plastic jar caramel popcorn + 1 lollipop candy. 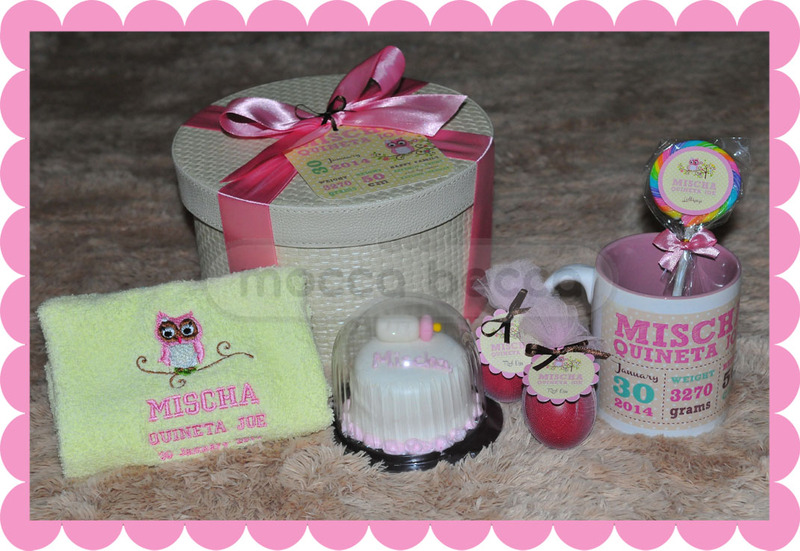 Ordered by mommy Yenny, with owlie theme. 1 sport towel embroidery + 2 red eggs + 1 lollipop candy. 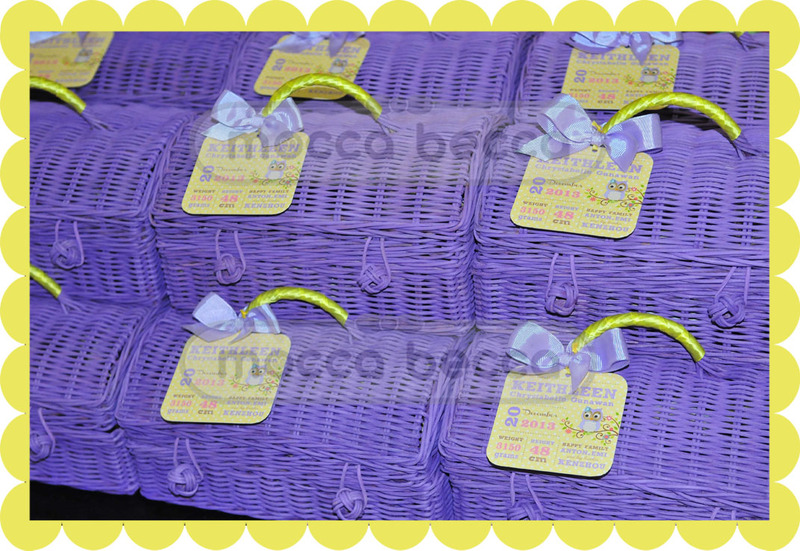 Ordered by mommy Emi, with little owl theme in lavender-yellow color. 1 sport towel embroidery + 1 glass jar choco chip cookies. Aruna is turning O.N.E ! 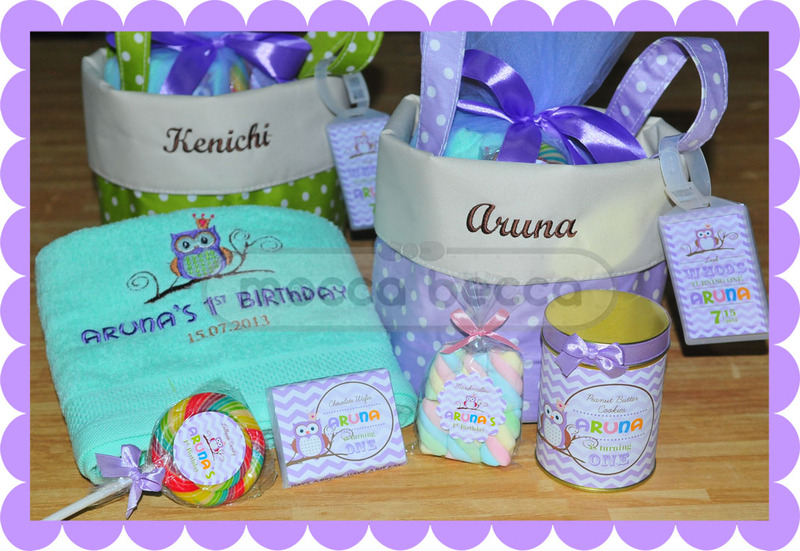 Ordered by mommy Alma with request owlie theme in lavender-green color. 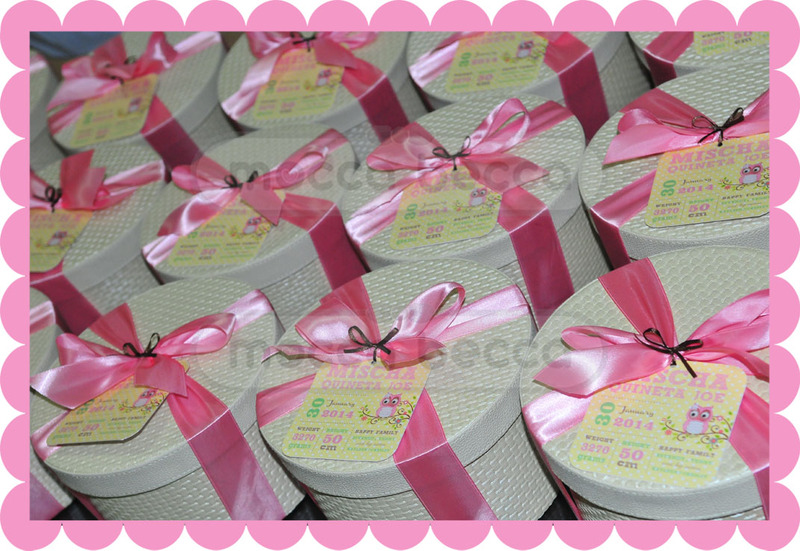 1 pack marshmallow + 1 lollipop candy + 1 luggage tag. Happy 1mos baby Cara Amelie Goliono. 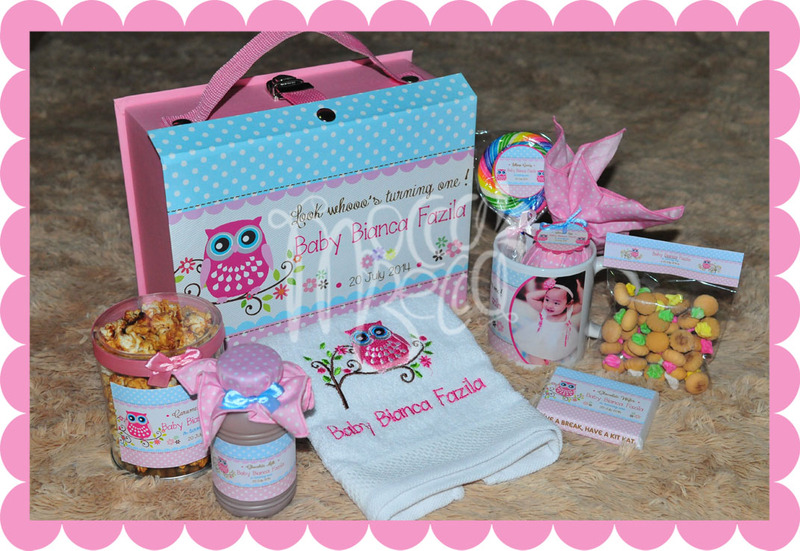 Ordered by mommy Olink, with “owlie” theme. 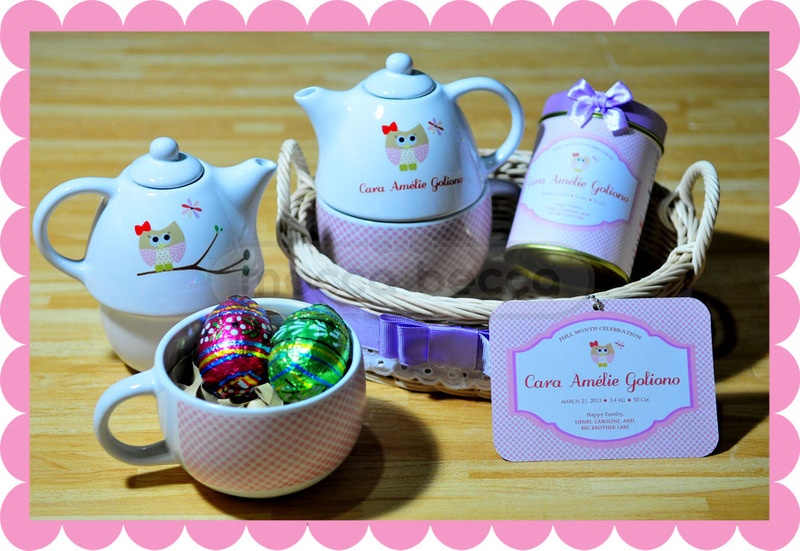 1 oval rattan basket + 1 tea pot set with cup + 1 tin can choco chip cookies. 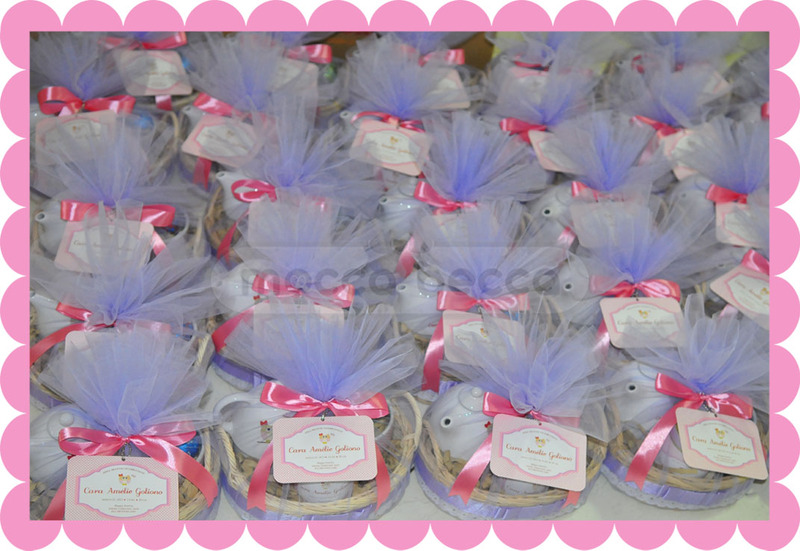 30 pax baby Cara’s one month hampers.